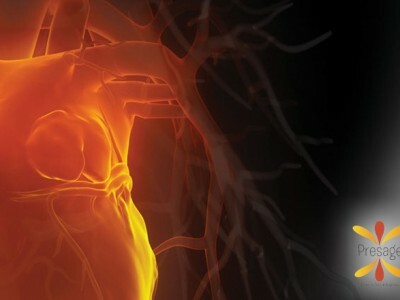 Evalution is MyCartis’ multiplex analysis platform tailored to the development of clinical biomarkers. It has been designed to analyze a broad range of protein and nucleic-acid based biomarkers to delivers high quality data and rapid results from minimal handling steps with unprecedented ease. 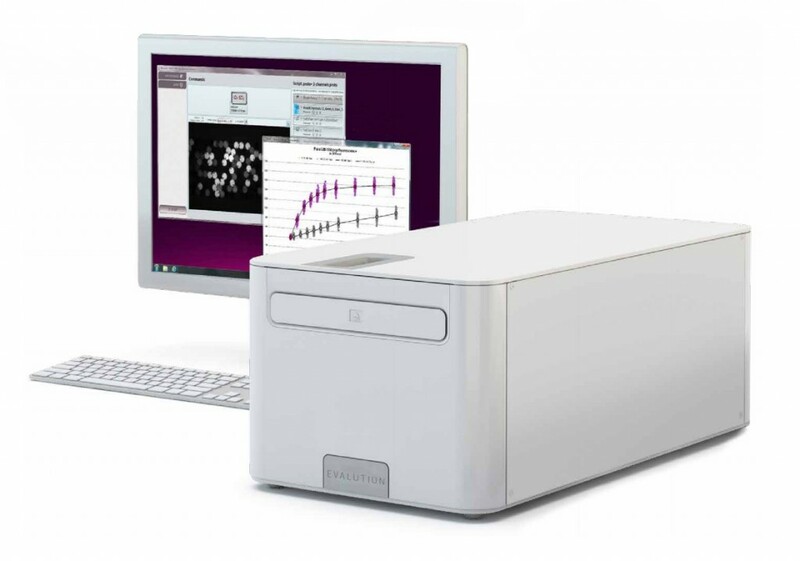 Evalution integrates into a single instrument all the functions of incubation, washing, and optical readout for seamless operation of sophisticated assay protocols. The combination of customizable encoded microparticles with microfluidic assay plates in Evalution enables the combined analysis of protein and nucleic-acid biomarkers simultaneously. Researchers and developers fasten the validation of biomarker panels and the translation into clinical use. 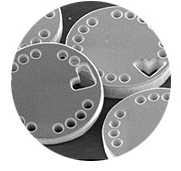 Produced in MEMS fab from well-established silicon machining technology. Thousands of digital codes available for high multiplexing capabilities. Compatible with wide range of surface chemistries for multifunctional usage. High reproducibility for high quality data. Integrated reaction and detection environments to ensure short time to results with minimal handling steps. Microfluidic environment for ultra-fast biological reactions. Ability to run from 1 to 16 samples at the same time. Small volumes to preserve precious samples and reagents. 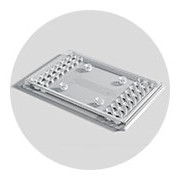 Full temperature (25-95 °C) and pressure control for flexible and reliable assays. Highly sensitive optics compatible with Phycoerythrin (PE) fluorophores for femtogram/ml level of detection. Real-time visualization of reactions and full data traceability for easy and reliable assay development. Separate preparation station for the loading of custom set of encoded microparticles into the assay plates. User-friendly interface with drag and drop functionality for fast and easy editing of protocol. On-the-fly adjustment of protocol for fast assay optimisation. Real-time building of graphs for full insight into the reaction. 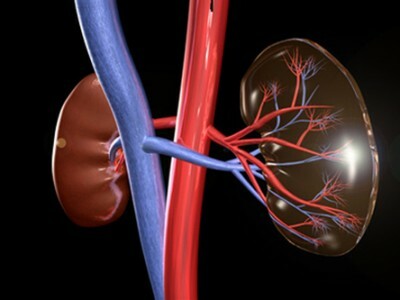 Comprehensive data analysis for biomarker quantification. Evalution has the ability to perform both protein and nucleic acid assays in fast and simple formats. This versatility makes the platform usable in a wide range of application areas. Running a multiplexed assay on Evalution is fast and simple. The integration of incubation, washing, and optical readout into one platform results in sophisticated, lengthy protocols being reduced to contain only a few handling and pipetting steps. For instance the quantification of low-abundant protein targets is performed in less than two hours while the detection of point mutations in amplicons is performed within 15 minutes. Fast and simple assays provide developers with actionable information rapidly to speed up the development cycle and save labor time. 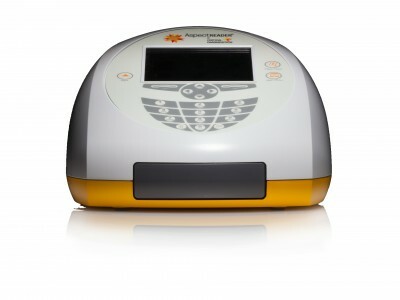 Powerful tool for assay development. Single platform for protein and molecular assays. Simple workflow with minimal handling. Competitive cost per data point. Click here to watch the video of a typical workflow to execute a multiplexed sandwich immunoassay from prepared set of encoded microparticles. The reporting molecules are flushed together with the sample for a single-injection, wash-free protocol with real-time visualization of binding reactions. More traditional protocol with sequential steps of incubation, wash, and end-point readout are also possible.